Chart Web Part is missing from SharePoint 2013. 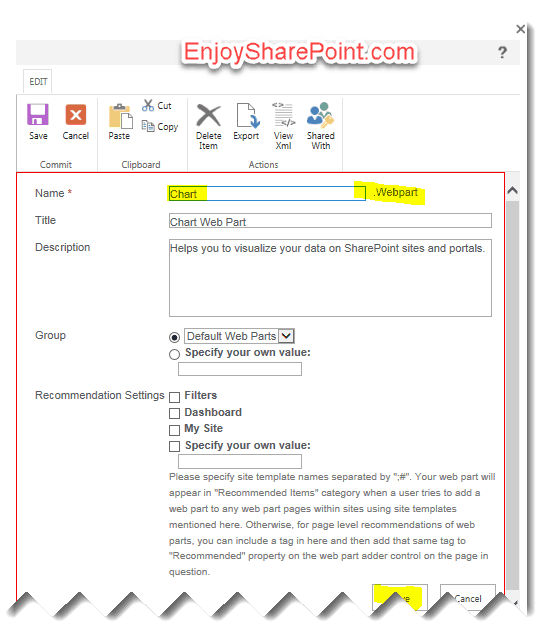 As we know Microsoft removed chart web part features from SharePoint 2013. 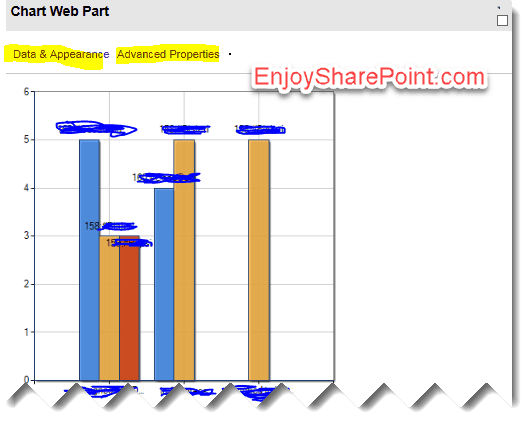 Recently we got one requirement for implementing Chart WebPart in SharePoint 2013. So I just found the way how I will implement chart web part in SharePoint server 2013. 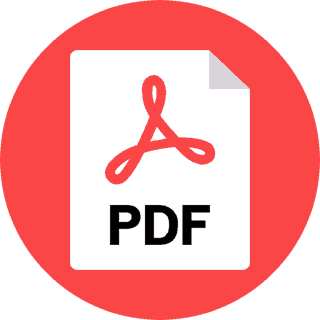 Here we will see how can we enable chart web part in SharePoint 2013 or how can we enable chart web part in SharePoint 2016 or how can we enable chart web part in SharePoint online (Download PDF for FREE). 1. Save below code as a “Chart.Webpart” file. It’s exported from SharePoint 2010. – Go to Site Settings – Click on “Web Parts” link under “Web Designer Galleries” section. 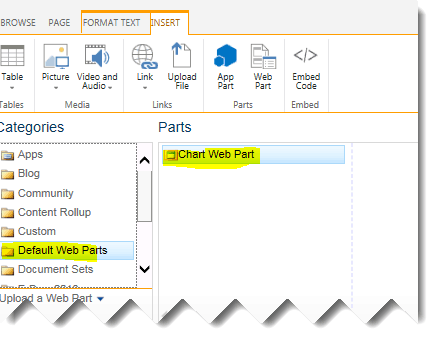 – Select the “Chart.webpart” file and specify web part attributes. 6. You Select the Data & Appearance and Advanced Properties for configuration. 7. You also able to do Custom design after editing the web part. Hope it’s helpful for you all.